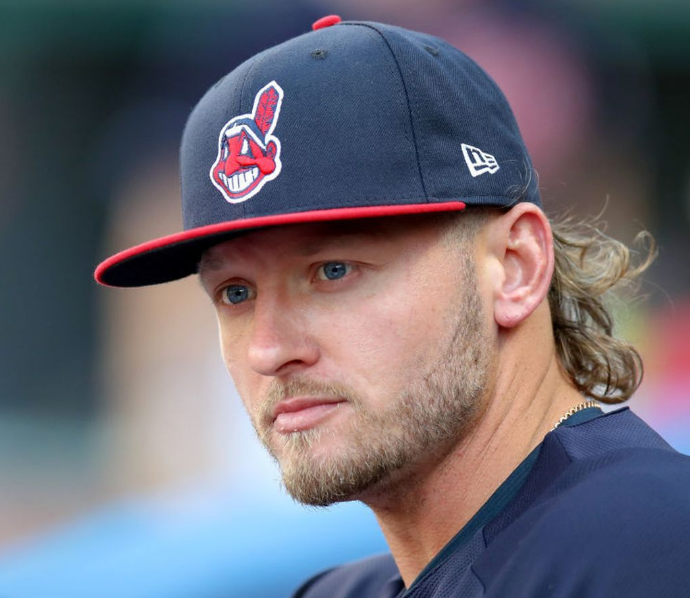 Josh Donaldson is an American professional baseball third baseman who plays for the Cleveland Indians of Major League Baseball (MLB). His bat position and throw position is right. He is firstly drafted by the Chicago Cubs in the 2007 MLB Draft. He made his MLB debut for the Oakland Athletics on 30th April 2010. He was traded to the Cleveland Indians in 2018. Blue Jays Reported that Jack Flaherty included in proposed Josh Donaldson deal. On 8th December 1985, Josh was born with the birth name of Joshua Adam Donaldson in Pensacola, Florida. His nationality is American. He attended Pace High School in Pace, Florida for his sophomore year and played varsity baseball. Later, he graduated from Auburn University. His mother name is Lisa French and his father name is Levon Donaldson. His horoscope is Sagittarius. Josh has a tall height of 1.85 m and weight of 95 Kg. His eye color is Blue and the hair color is Light Brown. Josh began his career from his high school. He was the Alabama Gatorade Player of the Year as a senior, batting .515 on the season, and led Faith Academy to a state title. In his college career, he played college baseball as a catcher and third baseman for the Auburn Tigers baseball team in the Southeastern Conference. He played for the Harwich Mariners of the Cape Cod Baseball League where he was an All-Star and hit .302. In the year 2007, he was named a Louisville Slugger Preseason All-American. He was drafted by Chicago Cube in the first round (48th overall) of the 2007 MLB Draft. He played 53 games for the Rookie Arizona League Cubs and Short Season-A Boise Hawks. In the year 2008, he played 63 games. He was called in the major games for the very first time on 30th April 2010 and made his debut as a pinch-hitter and struck out. During the 2010 season, he made 34 plate appearances and recorded five hits. He played the entire 2011 season in Sacramento. He finished the 2012 season with nine home runs, 33 RBIs and a .241 average. Major League Baseball named him as the American League Player of the Month for September 2013 after batting .337 with 20 runs scored, eight doubles, five home runs, and 16 RBIs in 25 games. After that, Athletics transferred him to the Toronto Blue Jays with the fee of $4.3 million on 28th November 2014. He was named the American League Player of the Week for the second time in his career on June 1st, 2015. He also participated in the Home Run Derby on July 13, 2015. Sporting News announced on October 29, 2015, that Josh had won their MLB Player of the Year Award. He was named the 2015 American League Most Valuable Player (AL MVP) on 19th November 2015. He was revealed as the cover athlete for MLB The Show 16 on 5th December 2015. On 13th April 2017, he left the game after straining his right calf and placed in the disabled list. 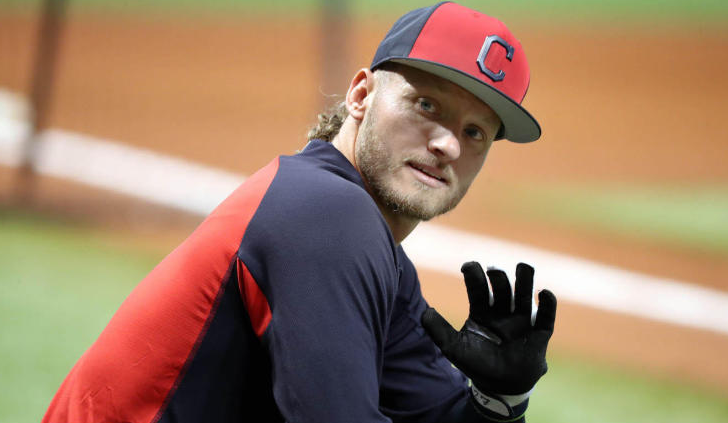 On 30th March 2018, it was revealed that Donaldson was diagnosed with dead arm syndrome. After his recovery, he was traded to the Cleveland Indians and was given shirt number of 27 on 31st August 2018. Due to a left calf strain, he was placed on the 10-day disabled list and got activated on 11th September 2018. His awards included the American League Hank Aaron Award, the American League third baseman's Silver Slugger Award, and Players Choice Awards for both Major League Player of the Year and American League Outstanding Player. The net worth of this famous baseballer is estimated to have $43 Million as of 2018 and earns $14 Million dollars annually. Josh Donaldson is not married yet but he is in a relationship with Briana Miller. The couple has been dating over a year and living a happy life with each other. The couple doesn't have children till now. Previously, he was in a relationship with Jillian Rose for 2 years since 2013 and got separated in 2015.